Facebook may be feeling the pinch from teen-focused, mobile-first social networks like Snapchat, as CFO David Ebersman said on today’s earnings call that Facebook “did see a decrease in daily users specifically among younger teens,” though he prefaced that saying “usage of Facebook among US teens overall was stable from Q2 to Q3.” This is the first time Facebook has reported real trouble with teens. The grim notes on young teens come after Facebook had denied losing luster with teens last quarter. Mark Zuckerberg said in July that “One specific demographic I want to address is U.S. teens. There’s been a lot of speculation and reporting that fewer teens are using Facebook, but based on our data that just isn’t true.” But the social landscape is rapidly shifting. Snapchat CEO Evan Spiegel said onstage at TechCrunch Disrupt SF in September that it sees 350 million “snaps” (photos and videos) sent per day. That’s equal to the number of photos uploaded to Facebook per day. Of course, some teens may be shifting their attention to Instagram, which Facebook owns. Still, analyst Ben Bajarin confirms that his research shows Facebook is losing usage amongst teens in core demographics like the U.S.
@panzer in main markets like the US all my millennial research suggests they are leaking that demo quickly. 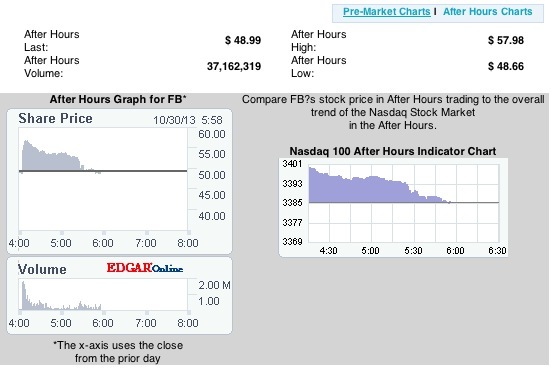 As soon as Facebook reported the news about teens, its share price took a nose dive, as shown below. You can see in the share price chart how, at around 5:20 EST when Ebersman discussed teens, its price suddenly sank. This wiped out the billions of dollars in valuation gain Facebook scored from the 15 percent share price climb Facebook made in after-hours trading based on the strong financial info for the quarter it released at 4pm EST. Facebook had a strong beat of estimates, hitting $2.02 billion in revenue, $0.25 EPS, with 49 percent of ad revenue now from mobile. The news about teens was clearly hard on Facebook but could be a boon to Snapchat, which is reportedly trying to close a big round of funding of around $200 million at a valuation between $3 billion and $4 billion. That could be easier, or Snapchat’s valuation could rise thanks to signs Facebook is losing teens — Snapchat’s core demographic. Why Would Kids Use Facebook Less? As I wrote the other day in my piece “Kids Love Snapchat Because They See Facebook Like Adults See LinkedIn”, the permanence of Facebook may be partly responsible for teens shying away. They feel that everything they post on Facebook is scrutinized, and they could jeopardize their future by sharing themselves being silly, partying, or by discussing their opinions. They worry parents, friends, and potential hirers might discriminate against them based on their digital past. Another possible cause for reduced usage amongst teens is that they see Facebook’s mobile app as bloated. There’s the News Feed, messaging, photos, events, groups, apps, and more. That means it can feel overwhelming, providing so many options that it causes decision paralysis. Compare this to slimmer services like Snapchat and Instagram where it’s obvious what you’re supposed to do — view and share photos and videos. 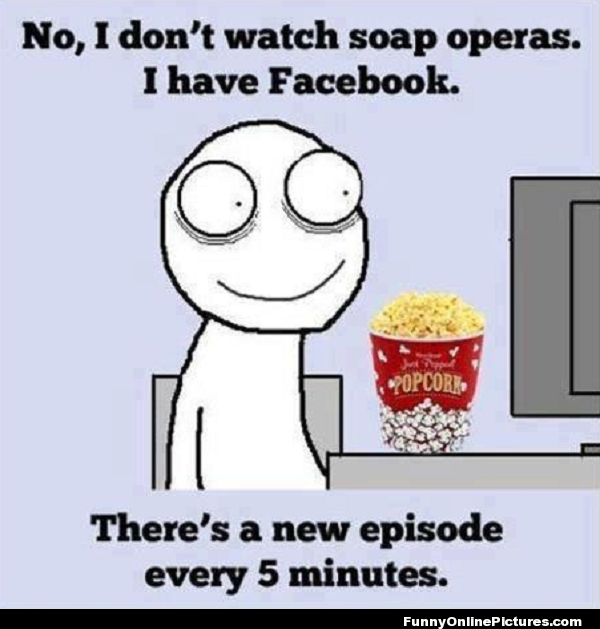 Finally, Facebook may cause drama for some teens whose “friends” may not be as civil as adults. With kids trying to figure out their identities as they hurdle into young adulthood with hormones raging, comment threads can get heated. Facebook has tried to discourage cyber-bullying by offering resources and easy ways to report it, but it’s still an issue on the social network — likely more so than on other apps that focus on media sharing and private messaging. Or perhaps the nearly decade-old social network just isn’t as novel as it used to be. Teens are the tastemakers of the world, and if Facebook can’t hold onto them, there are worries the rest of its user base could start to slip away — or at least use it less.